"He has been hitting runs at crucial moments." It was a known fact that Andre Russell can hit the ball clearer than many batsmen in the world. But it was not known how frequently can he hit the ball so clearly and see his team win game after game with ease. The 30-year-old belted four consecutive knocks three of which made the difference between his side Kolkata Knight Riders (KKR) in the ongoing Indian Premier League 2012 and the opponents. He has given his team wins from positions that looked hopeless and now, Russell has become a major concern for teams that take on the KKR in this IPL. Russell has picked up three Man of the Match awards out of five games so far in the IPL and with the KKR still to play nine games in the round-robin stage, the Caribbean’s mayhem is assumed to be far from over. On Tuesday, Chennai Super Kings skipper MS Dhoni will have to don his thinking hat to stop the Jamaican’s onslaught as the two teams meet for their first encounter of this season. Russell’s explosive batting has not just silenced the opponents and experts but even his own team-mates who are at a loss of words. 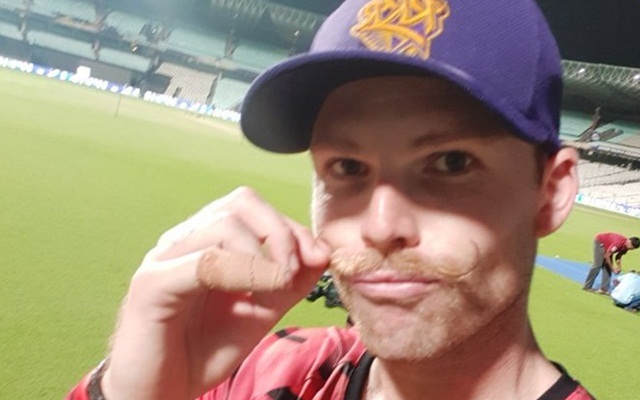 Speaking to The Times of India (TOI) in an exclusive interview, KKR pacer Lockie Ferguson did not hesitate to concede that it became difficult to describe Russell in words, given the way the hulk-like all-rounder has been batting this season. “It’s too tough to put in words for a guy like that (Andre Russell). He has been magnificent this season. He has been hitting runs at crucial moments,” the New Zealand cricketer was quoted as saying. Russell’s consistent hitting has turned heads in IPL 12 as he has scored 207 runs in four innings at an average of 103-plus and an incredible strike-rate of 269! On Friday, Russell scored 48 not out off just 13 balls to give KKR an unexpected victory while chasing a target of over 200 against RCB. Ferguson said Russell has the ability to take the game away at any time. Calling him a “real game changer”, the bowler said he has never seen somebody like Russell who can hit sixes from the very first ball. He expressed his relief that he doesn’t have to bowl to Russell since he is playing alongside him in the KKR.